The debate between conservation and reclamation postponed the creation of this dam. 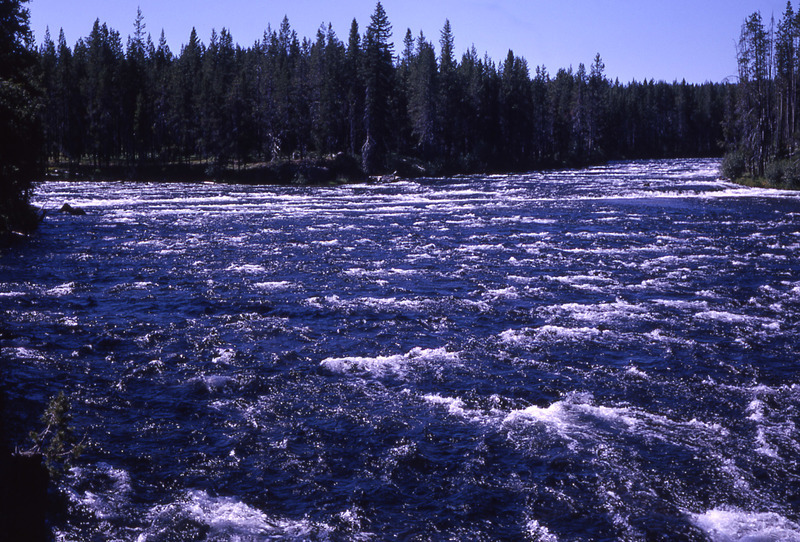 The original dam site was going to be off the Yellowstone Lake, but was split into two separate dams. One, the Grassy Lakes Dam, is the smallest reservoir created by the Minidoka Project. While is it very close to the Jackson Lake, it is uphill from the other lake and provides water to farmers whose fields are uphill from the other lakes in the area. While this dam is fairly small compared to the nearby Jackson Lake, the creation of this dam was quite dramatic. 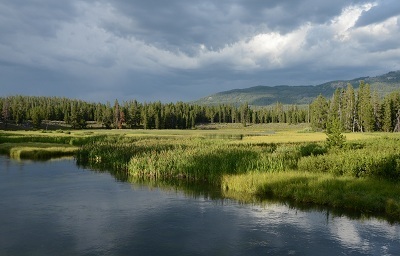 In 1919, after working on the Jackson Lake dam, proposals were made for another dam in the Bechler Meadows. This was an attempt to use the local water for irrigation and farming. No real action was undertaken for some time, but within a few years, conservationists became alarmed that this dam (along with a few other dam proposals in the area) would recreate the infamous Hetch Hetchy project in Yosemite National Park. In 1919, construction began on the O'Shaughnessy Dam, which created the Hetch Hetchy Reservoir. This dam was constructed inside a National Park and required special legislation for approval. 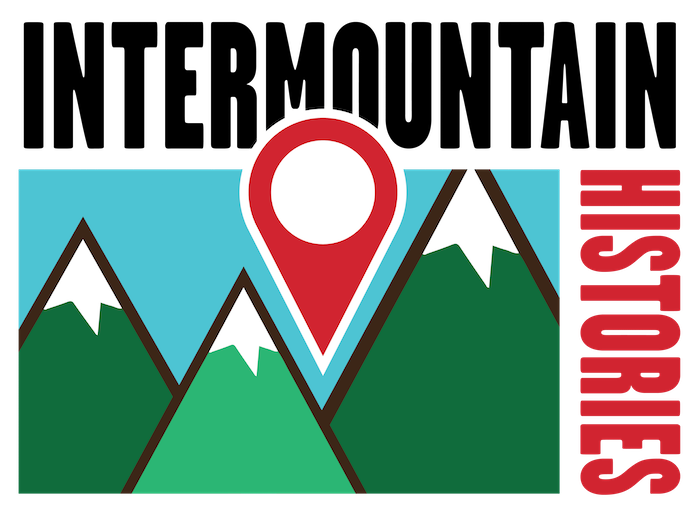 The legislation decided that public lands should be used for public benefit and that the scenic valley would be of more use to the community of California as a dam than a place for sightseeing. By the time of the dam's completion, many groups had already begun calling for the removal and prevention of dams in the name of conservation, the idea that the natural landscape should be preserved. The Grassy Lake dam fell victim to the backlash against the flooding of the Hetch Hetchy Valley and was postponed. After two decades of political debates, a compromise between local irrigators and conservationists in Congress allowed for the creation of two dams, both added to the Minidoka Project. 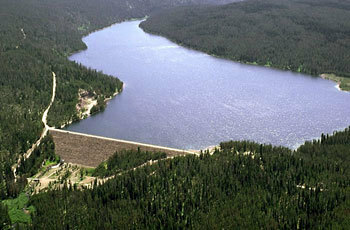 The Grassy Lake dam was to be created at the head of Cascade Creek, near the Fall river and close to the southern edge of Yellowstone. This would prevent Yellowstone Lake from being diverted for irrigation, preserving it for future generations. It would still allow farmers in the area to have access to water during especially dry seasons. In 1937, construction began and by 1939, the dam was completed. It is an earth fill dam and can hold 15,000 acre-feet of water. It is a little over a mile in length and less than half a mile wide. Recently, in both 1996 and 2004, the Reclamation Bureau modified and replaced some worn out sections of the dam. Josh Franzen, Brigham Young University, “The Grassy Lake Dam and Casualty of Compromise,” Intermountain Histories, accessed April 20, 2019, https://www.intermountainhistories.org/items/show/78.